In case you missed it, Superintendent Reykdal honored the critical work of school counselors with a proclamation and letter of support last week. Click here to access those resources from last week's news flash. 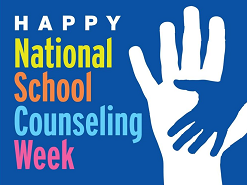 Stop by the counseling office and fill out a TRANSCRIPT REQUEST form for Mrs. Thoelke, or email a request to jill.thoelke@ksd.org. Your college applicatons may be delayed if you procrastinate.